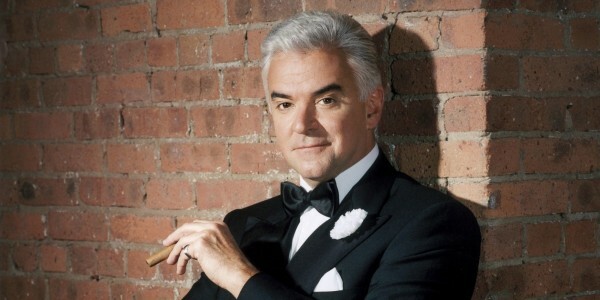 John O’Hurley is undoubtedly best known for playing Elaine’s eccentric boss J. Peterman on Seinfeld. However, that was just one role in a lifetime spent acting. 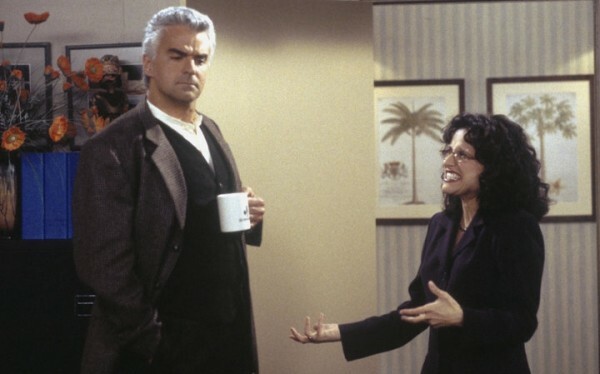 We talked to O’Hurley about his humble beginnings as an actor, landing the iconic role of Peterman and what his life has been like since Seinfeld went off the air. We also talk about his various hosting gigs, from Purina’s National Dog Show to Family Feud, and his new film where he goes one-on-one with a young girl in a round of golf. If someone were to go back and ask your parents or people who knew you as a kid for a story of when they knew you were going to be an actor, what story would they tell? Do those stories exist? Sure, absolutely. There was never any question. At the age of three, I knew exactly what I was going to do. People would ask what I want to be when I grew up and, with a sense of disgust that only a three-year-old can muster, I would point to the television in the corner of the room and say, “I am an actor, so that’s what I’m going to be.” It wasn’t that I wanted to be an actor, as that I was an actor. My entire life was directed in that area. I just knew. I always defined myself that way, so it was never a question of what I was going to do. I always did plays in the basement for my parents. Anything I did always had a performance attachment to it – the talent shows, my musical instruments. Everything had a sense of performance attached to it. Were you writing these plays or you were just performing stuff that you knew? When you’re doing it for your parents, you just put skits together. When I did Monty Python’s Spamalot on stage, it was basically like doing a play in the basement for my parents. When did you actually start performing for people outside of your parents? When did you start doing public performances? Public performances, I was probably freshman year in high school. It was the first time I was in the school play. Professionally, my degree was in acting and my minor was in opera out of college. I got scared to death of the business of acting, so I took a five-year respite and I went into advertising and public relations right out of college. What changes in those five years? I didn’t know how to make a living at, frankly. It took me five years to realize that I was really going in the wrong direction. I resigned from my post in public relations and I went to New York. I got my first show 48 hours after I arrived and I’ve never looked back, 1981. So you needed five years just to realize this was not the right path? I think it was I needed five years to grow up enough to say that making a living at it is my responsibility. It’s not somebody else’s job to provide me with my dream. Since that first job right out the gate, have you been a working actor the entire time? I’ve made my living as an actor every single day since 1981. I’ve never had to do anything else. That’s fantastic. That’s so great to hear. I didn’t go to New York to fail. When I finally made my decision to go, I went with a direction and I went with a commitment. Failure wasn’t an option. Was everybody pretty supportive in your life? Was this understood? No, no, not supportive at all. They were supportive in the fact that they didn’t kick me out of the house, but no. To say “support,” no. I didn’t get it because it was okay to do the plays in high school but after that, now it’s getting serious. “You actually want to do this?” No one had a frame of reference for it that was near me. I grew up in the suburbs of Connecticut. No one had a frame of reference for it. You read about actors in The Enquirer in the aisle of the grocery store. When did it sink in for them? Was it a gradual process or was there a moment where they got it? I think the night that my parents dropped me off on 79th and Amsterdam at a single room occupancy hotel. It was filled with roaches, a quarter of the bed was missing as though someone had taken a bite out of it. I think they realized at that point I was serious. That was your first place in New York? That was my first place, yup. That same room that I’m staying in right now is now a million dollar condo. Was your goal to do New York theatre? In the beginning, I was focused on theatre. Television, it was just a foreign entity to me. I didn’t even know what it was. It was all about theatre. It was all about singing. It was all about Broadway. That was the focus in New York. Then there was this thing called daytime television, the soap operas. Over a couple years in New York, that began to attract me more and more and more. It was finding me attractive and I was finding it attractive. We finally met in 1983 on The Edge of Night. I started my daytime career there. Then I was doing daytime and Broadway at the same time. I continued through daytime until I finally realized if I went to television out on the other coast, I could take the decimal point and move it one spot over and I did. The late ‘80s I came out to LA and I started doing nighttime and movies. I didn’t do any theatre for quite a while. In fact, it wasn’t until I went back really to Broadway right after Dancing with the Stars in 2005 that and I headlined in Chicago on Broadway, which I am doing even to this day. What was it like when you got out to LA? A totally different beast. Everything about LA is different. It looks different. It feels different. The business is different. New York is a walking town. As an actor, you walk from this rehearsal studio to your agent’s office. You have access to your agent back down there. You have access to the business. You know what’s going on. The rehearsal halls are filled. The theatre community, it’s riding the same subway car with you. You get out to LA and you’re sitting in your apartment waiting for the phone to ring. You have no access to your agent. You can’t even get into the building where your agent is in. It’s a much more isolated feeling out here. You are much more detached from the community of actors, of theatre. How did it start to click for you then in LA or how did you start to figure out the business? I had to learn a lot about television. Television is a different medium. Television comes to you. The camera comes to you. It will find you. You don’t have to do anything. On stage, you have to deliver to the back of the house. It’s a whole different feel. It’s two completely different dynamics. When you’re on television, you’re not shooting a character that has a beginning and a middle and an end. You’re going page by page by page, scene by scene. That make take place over four or five hours if you’re doing a sitcom and they shoot it on Tuesday nights or it may take place over 10 days if you’re doing a single camera. If you’re doing a movie it may take place over six to eight weeks. Then your character has the arc. On stage at eight every night, you take the character that has a beginning, a middle and an end and it can’t stop. Again, two completely different dynamics of performance. You have to learn those. It takes a while. There are no natural stage actors. You have to learn a craft. There are people that you can induce a performance from on camera by just telling them how to say lines, but you can’t do that on stage. There is a technique to learning how to act on film or television. Then there’s the idea that you get as many chances as you need. With theatre, it’s there in the moment, but you can do multiple takes on a set. How was it for building characters for you? If you’re doing TV versus a play, you have all of the information right at the front, but if you’re doing TV, you are getting a weeks’ worth of material and the character might change. Was that hard to adjust to? I thought that he was a little bit like a 40’s radio drama combined with a bit of a bad Charles Kuralt. That was the genesis of the character. 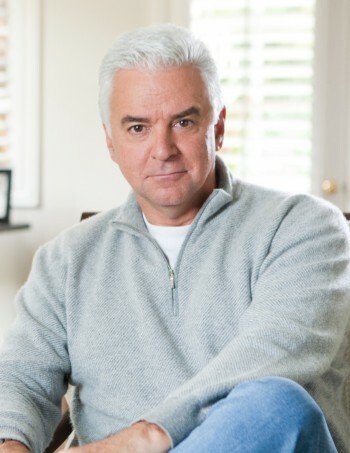 Let’s take a character like Peterman on Seinfeld. Over the four years that I was on Seinfeld, the character started to develop an arc. He seemed fairly lucid and logical, mildly logical, in the beginning. As the character began to appear, he became more and more detached to the point where he was absolutely a raving lunatic by the time he went off to Burma to find himself. There was an arc to the character. It changed dramatically over the period of time, but you could see it coming. What was that playing role like for you? It’s the most iconic role that you played. That’s what a lot of people know you from. It’s the number one syndicated show in the world. It’s in 85 countries, I think, or something like that. For me, because I created the character, everything about him I created, it was a chance for me to take the longest, largest, leap in my life artistically and trust that the net would appear. The writing, fortunately, supported the chances I took with the character, which was the marriage of that is to why that show was always good, such that it could support that kind of character that was over the top. No other show could. What were you told about the character going in? It all happened very quickly. I had a sitcom on ABC called A Whole New Ballgame. It was canceled on a Thursday morning after we’d been on the air for about three-quarters of the season. That evening, I went to dinner with my manager crying in my beer trying to take the cancellation as personally as I possibly could. Larry David’s office had called and said, “There was this role that would be perfect for John if he could come over tomorrow morning. The table reads at noon” or whatever it was. I said, “Okay,” so I did. What was it like when Seinfeld came to an end? It was sad because there wasn’t anything like Seinfeld. You knew that the day that ended, that was the day the music died. There wasn’t going to be another show like that because television was starting to fragment. No other show could garner that kind of audience. Any other show that began wasn’t going to get the chance to survive that that show needed. What was your approach after that when looking for new work? What was in your mind? I got called for a lot of other shows that I did. Kind of that very urbane type of boss or Tim Curry, Annie Potts and I did a series called Over the Top. I was Annie’s boyfriend or fiancé or whatever. Again, it was a little bit stiffer type of character. I guess I was getting stuck in those spots a little bit. That’s how people saw me. Also, at that same time, the game show world was opening up to me. I did To Tell the Truth for about three seasons before going over to Family Feud there for a little bit. I still was going back and forth. That’s also when Dancing with the Stars came in. What was the appeal of the hosting for you? Was it just something different to try? No, it just came very easily to me. As a child growing up, as the oldest boy in the family, it was my job to open the door when there were parties at the house and to say hello to everyone, take their coat and get them a drink. That was my job and you had to talk to adults. Sure enough, I grew up just hosting people. Hosting a show is very similar to hosting a party at your home. That’s all it is really, and expediting the core of the game, trying to make sure the game moves along and be as witty and as funny as you possibly can, try to use your mind to absorb what the people are saying and process it and try to come up with witty repartee, but in any case, just keep the game moving. As you mentioned, you went to LA, you went to TV and you did that for a while. What was it like going back and doing theatre again after such a long break? I had to get my singing voice back in shape. That took me a little bit. Again, I’m happiest when I’m on stage because the whole theater is usable. If I’m on camera, only what the camera sees is usable. There’s a sense of expanse as an actor on stage, whereas an actor in tone with television is really only concerned with six inches of space that the camera’s picking up around your mouth, your head, your nose, the top of your head and your chin. What I do is I remove the onus from me to try to perform and I replace it with the burden of listening. Acting is really reacting. That way, I don’t have to go on with any preformed questions of what’s going to happen. I know what I’m going to say, I just don’t know why I’m going to say it yet. I’m always listening and I’m always looking in that person’s eyes waiting for the reason for me to say the next line. 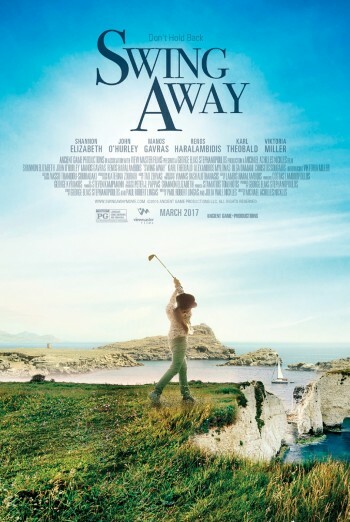 Let’s talk about the new film, Swing Away. What drew you to this project? There were many things. Any one of them would have driven me over there to film in Greece. That was one of the biggest, the idea to go to the Greek Islands and film a movie about something that I love so much as the game of golf. And also to work with a very malleable script and a character that they truly let me sculpt. He’s a cutthroat American developer. He’s a type A personality and has absolutely no sensitivity. He’s absolutely unredeemable in that respect. He can be as large as he wants because he’s got all the marbles. I like that. It’s a fun character to play. Most of the character was improvisational for me. When we rolled, I just said to let camera roll, let me say what I want to say. I know what’s written here. Let me say it the way I want, I tend to think more lyrically. That’s got to be great when you have an opportunity to do that, when you can just play with it in that way. It’s an actors dream. If you feel confident in the role and you have that sense of poetry in your head, then it’s a wonderful blend. This was exactly that moment. I think that’s why I enjoyed this character so much and that’s why the character is so damn real is because he’s the worst side of me. You’re a golfer. Was there any bad side of the golfing that came out or was any of that in the character? The nice things is that the story is about a piece of the only golf course on the Isle of Rhodes and one of the only golf courses in all of Greece. The golf course in D+ condition. It’s a terrible little golf course. It’s a little public thing, and that’s the story. It fits so perfectly into the story because the Greeks don’t play golf, but you come and try to take that golf course away from them and you’re going to catch the bad side of their temper. It’s part of their culture. They don’t play golf but that golf course is part of their culture. They’ll defend it with their life. They won’t play the game but they will defend the piece of turf. That’s what it ultimately came down to. It’s played out as a golf competition between the little 10-year-old girl and me. That’s the comedic and dramatic 11th hour moment in the show. It’s very funny and it’s the meat and potatoes of the movie. It’s a wonderful story. It’s very uplifting. It’s a story about redemption, that all things are redeemable and no matter what happens, you find a deeper purpose. That’s what Shannon Elizabeth’s character was all about. I’m still doing Chicago. I’m completing the national tour right now. Next week, I’ll be in Illinois and Palm Desert, then I’ve got to go to Providence later on in May. In the meantime, I’m touring my one-man show, which is called A Man with Standards, which is the retrospect of my life. I used the songs from the Great American Song Book, the standards of the ‘50s and the ‘60s, to parallel what was going on in my life at the time, and also the fact that I grew up in the period of time when men had standards, manners. I talk a lot about that as well, and my father and what his generation would do, dinner and dancing and the elegance of that time, that style and swing of the ‘50s and the supper clubs in the early ‘60s. I talk a lot about that. It works very well in a touring show. It brings back the music of the time, the Sinatra stuff and the Henry Mancini’s and the Bobby Darin. I’ll be touring that. I’m taking over the Hotel Carlyle there in New York City, which is the top room in the country, the Café Carlyle there. I’ll be doing my show, the one-man show there. I’ll be doing it from March 28th until April 8th there. Is there anything else that we didn’t cover that you would like to mention? Let’s see. I’ve got my dog shows on Thanksgiving that I host for NBC, the National Dog Show. We get the largest viewership of anything on NBC, which is 30 million people. Because of that, they just gave us another one which is the Beverly Hills Dog Show, which I just taped over this past weekend and will be airing on Easter Sunday, 8 on USA network and then airing again the following week on NBC. That’s the Beverly Hills Dog Show presented by Purina to mirror the National Dog Show that we do on Thanksgiving Day. This one’s different. I got to help design this one so that the best in show at the end of the show actually looks more like a Victoria Secret runway show. It’s really beautiful. When the dog show world sees what we’ve done in terms of redesigning this whole thing, it’s going to change the way that people think about dog shows. Interviewed by Joel Murphy. Swing Away is now playing in select cities.